One of the subconscious reasons I started to study Japanese was to be able to read Japanese textile-related articles. 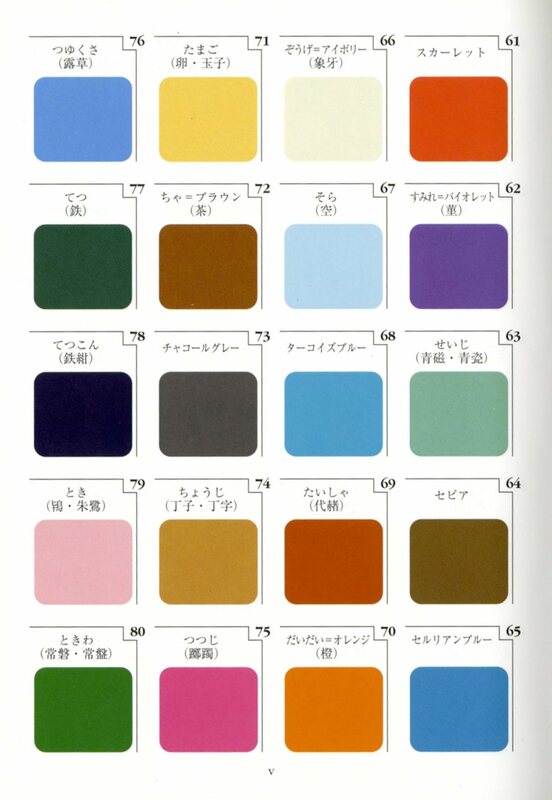 The Japanese people’s ability to maintain a catalogue of their traditional color names throughout history with actual colors samples is most amazing to me. I brought back five of these kinds of books with me from Japan. My fever of studying color names was reignited when I purchased a Japanese-English dictionary last year at the Mizuwa Marketplace bookstore in Arlington Heights. At the front, there are about five pages of color blocks with name identifications. I was in awe to see that a common little dictionary would have such a professional level of color work. I then searched Japanese websites to find many books on traditional Japanese color names and their origins in all formats. Some were catalogued with Kimonos and the historical accounts of their development, the dye fomulas, and some were shown in a format of color chip research. But all had rich, accurate color reproductions. I remember seeing many movies of Shogun stories where the princess would wear a Sky colored Kimono. Below is one such example of an episode of a television series. 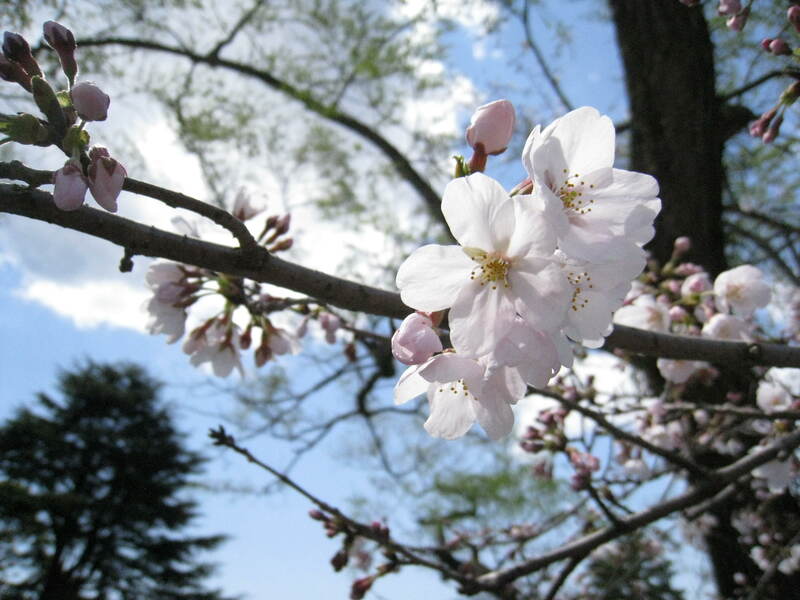 Notice at the middle of the episode when the princess stands up how beautifully the apricot lining contrasts with the Sky color—a perfect example of traditional Japanese color sense. The male actor in this episode happens to be my favorite actor of all time: Toshiro Mifune. He also wore a Sky colored outfit in the last scene of this series where 46 of the Samurai was ordered to Seppuku– a ritual form of committing suicide in the old Japanese society. It is the act of slitting one’s own belly. Notice again at the middle of the episode when he was passing a pine tree how a cool and elegant color contrast happened between his Sky colored robe and the pine needles. Again, another example of traditional Japanese color sense. I wonder if the director actually designed this little pine tree to be there before shooting that scene. If he did and if he were in front of me right now, I would love to give him a big kiss. This eposode is translated as 47 Ronin in English, an epic on loyalty. Here is a brief account of the story in English if anyone cares to read further. Does this not look like the color combination of the princess in the movie with her kimono and her pale pink face? Does this not also remind you of the colors of Mifune’s Sky colored robe and the pine needles? 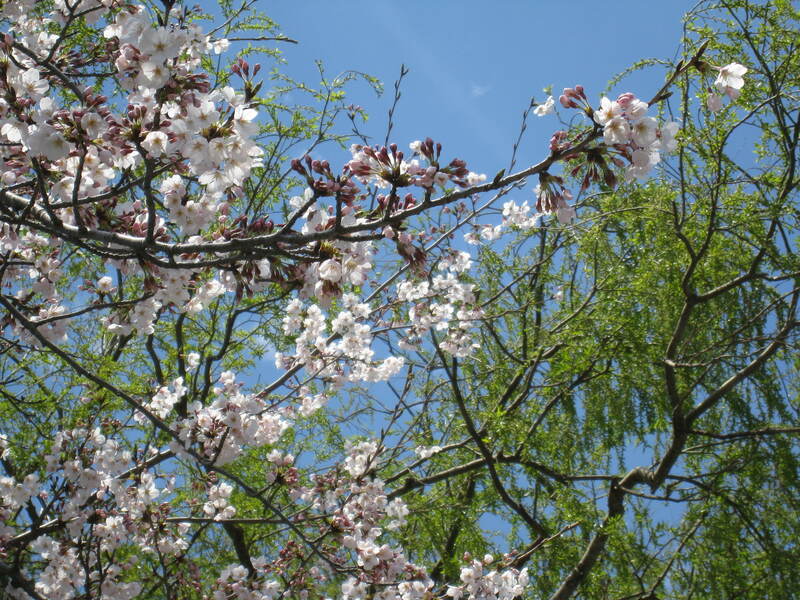 Japanese colors and motifs are very touching because they take what they see in everyday life and put it into their art. Much of what they see in everyday life is nature’s phenomena. You are currently reading Story of the Color Sky at Woven-Words.